T-Mobile certainly dropped a big hint when the word “Vanguard,” believed to be the codename for the HTC Vision, was discovered all over the source code of their HSPA+ phone teaser page. 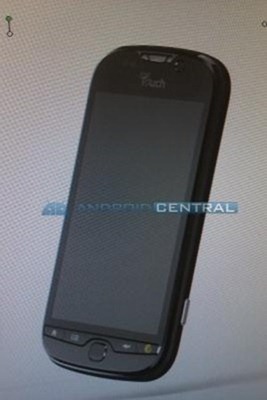 But, according to a leak from Android Central, this phone might not be the slider we’ve seen before – it could be the next model in the myTouch line. Called the myTouch 3G HD, the phone appears to have the same button layout as the myTouch 3G Slide, including the Genius Button and trackpad. 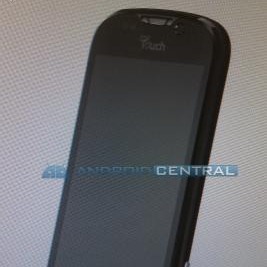 The screen size can’t be determined, but certainly looks like more than T-Mobile’s previous myTouch offerings. What appears to be a camera button on the side exactly matches the shape of silhouette found on T-Mobile’s teaser page, which makes it seem real enough; still, with the button layout being the same as the Slide, it still seems entirely possible that this is nothing more than a fan-made render. For those of you who are optimistic about the reality of this phone, there appears to be both an ambient light sensor and a front-facing camera at the top of the device. Assuming this is real, adding that front-facing camera would be a great idea on T-Mobile’s part, as it would show that their new HSPA+ network is easily capable of video-calling. Still, it almost seems like too good to be true for T-Mobile fans, so consider this a rumor until further notice.